This is a legacy web site and some information may be out-of-date. 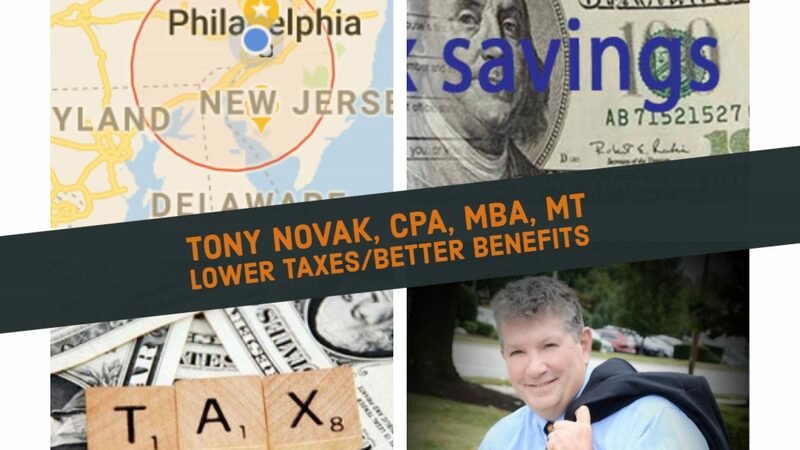 For more recent information and postings, seewww.tonynovak.com/cpa. Everyone in the U.S. is eligible for at least one health insurance plan – even if you have pre-existing medical conditions. The cost of health insurance coverage for individuals with pre-existing medical conditions is high and may provide limited benefits. Individuals with insufficient income or assets to pay for medical insurance and out-of-pocket medical expenses are eligible for government-paid health coverage. Update: On February 15, 2013 the federal government announced that it is closing the Pre-existing Condition Insurance Plan (PCIP) health insurance program that began in 2010. See other options at www. FreedomBenefits.net. The terms used in the health insurance industry for this type of coverage are “open enrollment” plans and “takeover benefits”. It helps to use these specific terms when shopping for health insurance to communicate clearly the type of coverage you are seeking. Most U.S. health insurance plans do not offer these features. Note that these plans have different meanings within specific health plans and both do not always go together, especially when enrolling in a new health plan without prior coverage. Although health insurance that covers pre-existing medical conditions is available to every legal resident who cares to go through the steps necessary to locate an appropriate plan, the price of this coverage can be two to three times the amount of health insurance that does not offer this coverage. In other words, availability is guaranteed but affordability is not. While most of these availability procedures are governed by federal law known as HIPAA, the specific procedures for pricing vary significantly from state to state. Knowing how to find open enrollment plans that offer takeover benefits in your state can save hours of search time and avoid frustration when shopping for health insurance. This article does not address the question of the precise legal definition of a “pre-existing medical condition”. This issue is addressed elsewhere, including the “Frequently Asked Questions” section at Freedom Benefits. For purposes of this article, we will broadly assume that any medical claim anticipated in advance is a due to a pre-existing condition. Common examples of pre-existing medical conditions are pregnancy and diabetes. If you take a prescription medication now, that is an indication that you have an underlying pre-existing medical condition. Another practical way to put it is “if you have to ask if it is covered, then it is probably a pre-existing condition”. The logic behind this statement is that basic commercial insurance is designed to cover those risks that are not known at the time the insurance starts. In reality, your state’s law may offer more relief by limiting the application of the pre-existing medical condition rules, but it pays to be conservative for the purpose of a general discussion. Also, this article does not address welfare plans that are available to people whose income and net worth combined is not enough to pay for the cost of other available health care. Every state offers some type of welfare health coverage, but these plans are not covered in this article. If you think that this type of coverage might be available to you due to income level, it pays to check with the local welfare office or your state insurance department Web site for eligibility guidelines and procedures. There are only six variables that affect your eligibility for any type of open enrollment health coverage that provides takeover benefits: 1) availability of employer-sponsored group health coverage; 2) availability of COBRA coverage, 3) availability of a “Certificate of Creditable Coverage” from your prior health plan, 4) your financial status (income and assets), 5) citizenship, and 6) your state of legal residence. Each type of health insurance plan addresses these issues differently. If you are enrolling in an employer-provided group health plan, the rules are simple and straightforward. All pre-existing medical conditions are covered for those who enroll at the time the policy starts. For those who enroll at a later date, pre-existing conditions are covered after the person has been covered for 18 months. This 18-month period includes the amount of time you were covered under a prior health insurance plan. Eligibility and administrative requirements for group health insurance are rigid. Group health plans are governed by both the Department of Labor and the Treasury Department (IRS) in addition to state insurance departments. This has the effect of causing these health plans to appear harsh and sometimes illogical with regard to eligibility. Not all businesses qualify for group health insurance. Small family businesses commonly make the mistake of assuming that they are eligible for group insurance when this is not always the case. A small husband and wife business, for example, is not eligible for group coverage unless there is a history of payment of state wage taxes (unemployment compensation tax) and they must be able to provide copies of these business tax returns. Part-time employees and those paid cash “under the table” are not eligible for this coverage. Group health insurance is controlled by the state in which the business is headquartered unless a significant number of employees reside outside of that state. In the case of businesses with employees in scattered states, the most restrictive state laws may apply. This may seem unfair to employees living in states where health insurance is less expensive and easer to find. Many of today’s employer-sponsored health plans like Health Reimbursement Arrangement (HRA) and Flexible Spending Account (FSA) plans allow an employee to opt out and find another more attractive health plan that is paid (fully or partially) by the employer. 1) Core Health Insurance – a limited coverage plan is available in most states that admits all applicants under age 65 and pays for pre-existing medical conditions after being enrolled for 12 months. As the name implies, this insurance covers limited items and not all medical costs. This insurance is not intended to by the primary coverage but is valuable as a supplemental or “last resort” coverage. See your state page atwww.CoreHealthInsuance.net for information about availability, rates and enrollment. 2) COBRA plans – these are available if you are leaving a qualifying group plan. Contact the sponsoring employer or the group health plan directly to access benefits. Other articles on COBRA benefits are posted at www.COBRAplan.com. 3) Public assistance plans – these are available if you have limited income and assets. These plans vary from community to community and change frequently. The easiest way to find the plans available in your area is to look in the blue pages of your local telephone book under the term “welfare office” and ask the staff there. 4) High risk pools – each state has at least one plan that will accept individuals not eligible for coverage under other health plans. The “catch” is that the applicant must have maintained coverage for the 18 months or satisfy a new waiting period before the pre-existing coverage becomes effective. There is no requirement that the waiting period be satisfied on the any health insurance plan, so many people use an inexpensive short term health insurance to satisfy the waiting period an then switch to the assigned risk plan. The best way to find such plans is to telephone your state insurance department. Links to the state insurance departments are posted at Freedom Benefits. Since many of these plans are administered by the local Blue Cross associations, it makes sense to also call them directly. Links to both resources can be found at Freedom Benefits. “Web surfing” is not a good way to find a comprehensive individual health insurance plan that covers pre-existing medical conditions. The comprehensive commercial health insurance plans found on the Internet do not offer this coverage. Some people ignore this point and enroll for coverage online in a plan that they believe is suitable but later realize this was a big mistake. It is far better to just avoid using the online enrollment services if you need this type of health coverage. Most health plans require a “Certificate of Creditable Coverage” in order to access immediate coverage for pre-existing medical conditions. The waiting period can be from 6 months (for Basic Health Insurance) to 18 months (for most group health insurance). Make sure to clarify this issue before you enroll. If you have a “Certificate of Creditable Coverage” and live in AZ, CA, DE, DC, FL, MO, NC, TN, VA, WV there are more health plans choices available that provide takeover benefits. In the worst case, the applicant must wait 18 months under the new coverage pay for the cost of treating pre-existing medical conditions. A few states, including GA, OH, NV, TX and NJ, have a health insurance enrollment systems tightly controlled by the state insurance department. In these cases it is best to go directly to the state’s Web site or telephone hotline to find this coverage. It takes at least a few weeks to enroll in this type of health insurance coverage. If you need immediate health insurance coverage, short term medical plans issued online that do not offer takeover of pre-existing coverage might be necessary just to bridge the gap. The range of prices for open enrolment health insurance coverage goes from about $200 per month for single coverage in parts of the Midwest to more than $1000 per month for the better plans on either coast. Family coverage is 2.5 to 3 times the price of single coverage. Some states limit the price of coverage for high risk applicants at 200% of the price of coverage for healthy applicants. TheBasic Health Insurance plan is less expensive because this is not a full coverage insurance but provided only minimal coverage. In most cases, the cost of this health insurance coverage will be one of the largest single monthly expenses for the household. In addition, these plans (with the exception of group plans and COBRA plans) usually limit the providers that may be used and limit the treatments that a medical provider may prescribe. One other option is available for help covering smaller out-of-pocket medical bills. When health care expenses are not covered by insurance it makes sense to bypass insurance altogether and use a PPO discount health savings plans instead to cover the cost of pre-existing conditions. Plans likewww.Ehealthdiscountplan.com can be effective because they cover all pre-existing medical conditions. This is not insurance, but sometimes it is better to pay cash for smaller expenses, especially if the bills are discounted under a PPO agreement. Both doctors and patients prefer this cash pay-as-you-go method because there is no risk of dependency on insurance approval. The combined cost of the cheaper health insurance plus the out-of-pocket cost of pre-existing coverage not covered by insurance is often less that the cost of an open enrollment plan that offers takeover coverage. These plans are very liberal, available to almost everyone, cover a wide range of expenses, include pre-existing medical conditions, and cost little compared to the savings achieved. As a result, these plans tend to be favored by those who use them. See the article “Comparing Health Discount Plans” for more information. Health care expenses can be the largest financial in households where one or more members has chronic medical problems. Availability and price of coverage varies significantly from location to location. It might be wise to consider the availability and price of this coverage in states other than your own. Consider, for example, a case where a family would face tens of thousands of dollars in medical insurance and out-of-pocket costs in their own state but could manage fairly well under the rules of another state. Uprooting a household to move to another state for medical treatment might sound extreme, but there are plenty of real-life cases where this made the difference in keeping a family together for the long term. Everyone in the United States is eligible for some type of health insurance and all legal residents are eligible for a health plan that covers pre-existing medical conditions. Government paid care is provided to individuals whose income and assets are below the poverty level. Significant problems with affordability of premiums, out-of-pocket costs (co-pays and charges not covered by insurance) and waiting periods pose significant financial obstacles for many middle income people. Federal law known as HIPAA ensures that fair and uniform procedures are available to individuals seeking continuity of health coverage and at least one of these plans is operating in each state. The search for health insurance that covers pre-existing medical conditions is best handled by telephone and not on the Internet. Comprehensive health insurance offered by commercial insurance companies, including all comprehensive individual health insurance offered on the Internet, excludes coverage for pre-existing medical conditions. Supplemental policies may include this coverage, but are not intended to be the primary source of protection. Looking for financial shortcuts or selecting a health plan that seems to offer benefits that are “too good to be true” will likely lead to disappointment. Note that following passage of federal health reform law in 2010 and until January 2014, the primary source of coverage for pre-existing conditions are the state Pre-existing Condition Plans. Previously available options remain. Pleasee-mail a request to the author that includes the name of the requestor (individual and corporate) and the intended destination of publication. Opinions expressed are the solely those of the author and do not represent the position of any other person, company or entity mentioned in the article. Information is from sources believed to be reliable but cannot be guaranteed. Any accounting, business or tax advice contained in this communication, including attachments and enclosures, is not intended as a thorough, in-depth analysis of specific issues or a substitute for a formal opinion, nor is it sufficient to avoid tax-related penalties. Tony Novak operates as an independent adviser under the trademarks “Freedom Benefits“, “OnlineAdviser” and “OnlineNavigator” but is not a representative, agent, broker, producer or navigator for any securities broker dealer firm, federal or state health insurance marketplace or qualified health plan carrier. He has no financial position in any stocks mentioned. Novak does work as an accountant, agent, adviser, writer, consultant, marketer, reviewer, endorser, producer, lead generator or referrer to other companies including the companies listed in the articles on this web site.